So, how does the system keep the car interior just the way we want it? 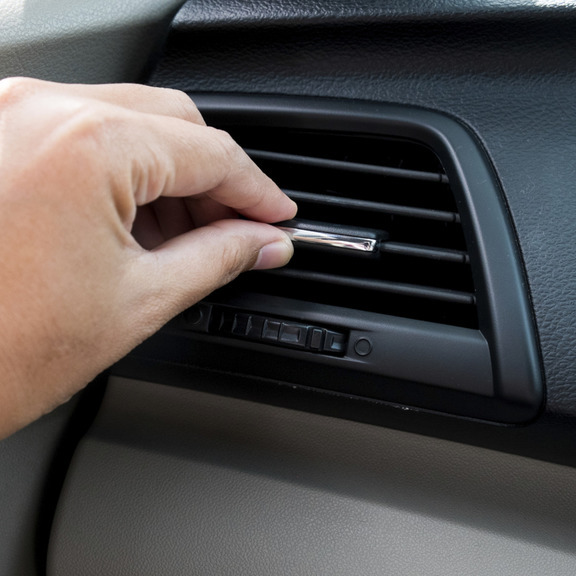 Most people think that an air conditioner simply adds cold air to the interior of the car. Actually, there is no such thing as cold, rather there is an absence of heat. The job of the air conditioner is to remove the heat and humidity that we find uncomfortable. A compressor circulates a liquid refrigerant, compressing the liquid into a hot, high pressure gas. This hot gas is then run through coils so the heat can be dissipated and condensed into a liquid. The liquid then goes through an expansion valve and evaporates to become a cold, low pressure gas. This cold gas then runs through a set of coils which allow the gas to absorb heat and, in so doing, cool the interior of the vehicle. My air conditioning unit isn’t cooling. What’s wrong with it? 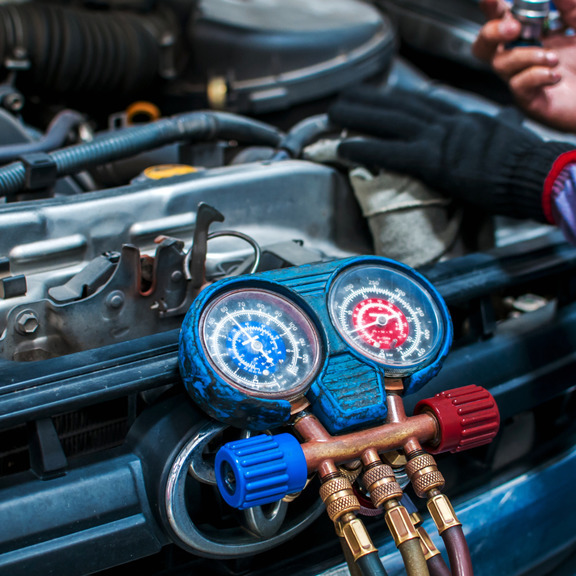 An air conditioning system requires a minimum amount of refrigerant to cool properly. If the refrigerant level is low, it will work less efficiently and will not cool well. The condenser is the heat exchanger which cools the hot high pressure refrigerant after it exits the compressor so that it can condense into a liquid. If the condenser is full of leaves, insects or other road debris, air flow through the unit may be impeded to the point where little cooling can take place. Cleaning the condenser should cure this problem. The condenser often has its own separate electric cooling fan. 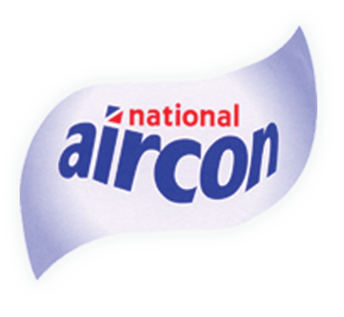 This fan should come on, and remain on, when the air conditioning system is operating. If the wiring, fan motor, or motor relay is defective, the fan may not work. Any type of debris, e.g. rust, in the system may block the tube or the metering valve through which refrigerant flows into the evaporator. 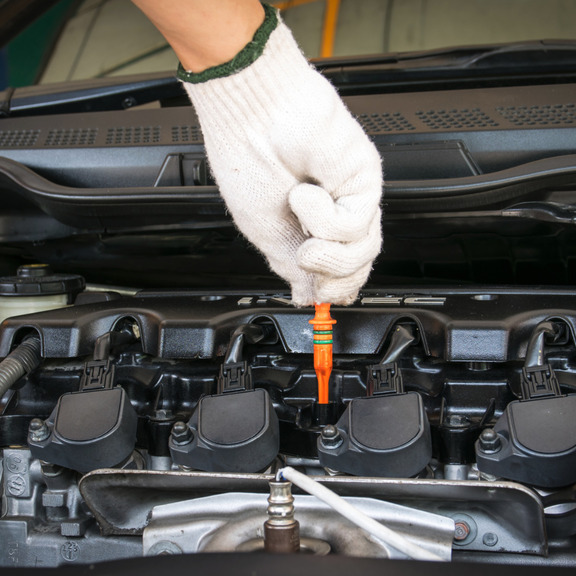 This will cause a loss of cooling, and potentially cause damage to the compressor as the system probably relies on oil circulating with the refrigerant for lubrication. The refrigerant inside the system, which must remain free of moisture, can freeze and form ice that will cause blockages. Contamination can result from leaks in the system, or failure to vacuum purge the system prior to recharging it with refrigerant. These would include compressor wear, the compressor clutch failing to engage, metering valve failures, inoperative pressure switches, etc. Precise diagnosis will require a technician who has all the necessary tools and equipment, and who has been trained in this highly specialised process. Flourescent Dye is added to the system, the presence of the coloured dye around hose connections and fittings after the system has been run for a period of time are indications of escape. Leak detecting dyes will often reveal tiny leaks that might escape visual detection. Some are fluorescent and require illumination with a special light before you can see them. Despite this, even dyes can fail to determine the location of a leak if the leak is in the evaporator (located inside the heater/defroster plenium under the dash) or in a hard-to-observe or hidden location. Why change the expansion/block valve if the compressor has seized? Yes, Isceon 49 or RS-24 (r12 was used up to October 2000 but its use is now banned) is used for vehicles up to 1993, later vehicle use R134. Refrigerants must never be mixed or cross- contaminated.